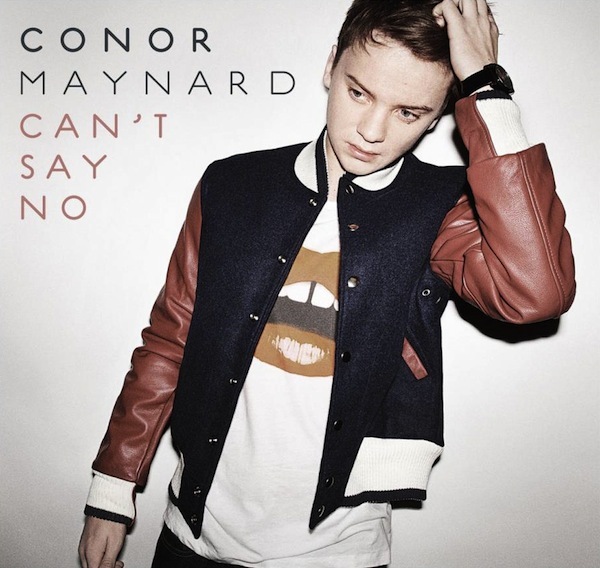 Can't Say No is the debut single by Conor Maynard and it is released on the 19th of April in the UK and Ireland. To date, similar to the American band Karmin, he has been covering pop acts such as Chris Brown, Jessie J and Katy Perry. The beginning of the song is definitely sampled or reworked from another recent pop base line but I can't link it. Cher Lloyd may be going hmmm somewhere in England right now. Conor is also from Brighton which is always extra bonus points. The video is perfectly ok until it goes down the I KNOW EVERYBODY!! road and becomes a mobile phone ad. The song is proper pop though. Martika's new single Flow With the Go has been featured on many pop websites over the past few days. It is a return to her dance pop origins but is completely individual too. Listening back to her early singles today I realised how different each of her most well known songs have been. Her first hit More Than you Know is not a million miles away from the dance pop that is dominating the world pop charts again in 2012. Toy Soldiers is of course the most well known and is still iconic. I Feel The Earth Move showed how a classic song could have a perfect dance pop makeover. Of all of those songs Love...Thy Will be Done is still my most favourite. I think it is one of those perfectly constructed pop songs from the two drum beats that it opens with to Martika's vocal throughout. When it was released in 1991 it was the perfect transition from the pop of the 1980s when the 1990s was starting to make it's own sound. What is also a great pop fact is that all four of those aforementioned songs were top ten hits in Ireland. Make than You Know got to number #10, Toy Soldiers got to #3, I Feel The Earth Move got to #7 and Love...Thy will Be Done got to #8 in the years they were released in the Irish singles charts. Thanks also to Mike Waas whose Twitter page @PopTrashMike featured a link to Flow With The Go yesterday. and the elegant pop ballad that is Love...Thy will Be Done. One of the best concerts that I was ever at was when I saw Scissor Sisters play in The Village here in Dublin in 2003. It was an electric night. There is always something amazing about seeing music artists at the very beginning of their fame. I also saw Robyn with Kleerup as support artists play a concert at The Village and that gig also had the same atmosphere. It felt like being in a video. 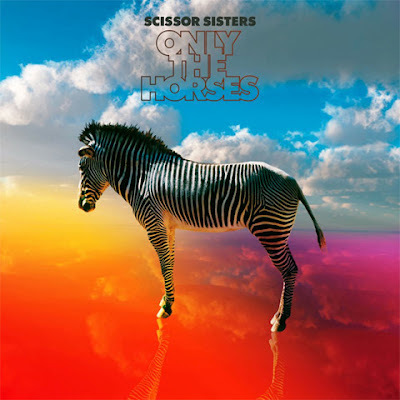 Scissor Sisters's newest single is called Only The Horses and is one of their most poppiest songs to date. It's produced by Calvin Harris and Alex Ridha and is out on download in May. They haven't had a hit single since Fire with Fire but this has to a success. Through Twitter over the past few months I have discovered many great blogs, websites and personal pages that celebrate the two things that I love the most; that is pop music and movies. One website that I love to see updates on has nothing to do with music or film. It is called Foxglove Lane and is a collection of the most beautiful photographs and writings on nature. The profile page describes the site as 'a celebration of the ordinary and the everyday stuff of rural life'. I love the power of the image but that image is only powerful when we establish a connection with it. When we see a movie or listen to a song we constantly try to make a connection. We cannot write or speak about music or film unless we have experienced it for ourselves. Foxglove Lane does the same in relation to nature. As the profile introduction states 'The more I look the more I see'. It celebrates the importance of getting out into the world and connecting with your own surroundings. One post notes that 'every place is beautiful when you pay it the right kind of attention'. The message of something like Foxglove Lane is that the power and beauty of nature is always near to us. Even if we live in a city we can go to a park or get on a bus and train and go to the countryside. That reconnection and the power of just being is there if we want it. I am from the county of Kilkenny originally. Over the years my family have lived in different houses both in the city and in the countryside. The house that my parents have lived in over the past few years is lovely, there are fields all around. My parents both love their garden and they both have such a deep respect and love of nature. Foxglove Lane states that it is in a place in the South East of Ireland, I do not know exactly where but I think that is part of it's appeal. The photographs are simply moments captured. What is posted in January will or may be different in July and so on. Animals or insects we see one moment we may or may not ever see again. The various short posts both chronicle the seasons and our reactions to their changes. The words used in the posts are spiritual without religion even being mentioned. Foxglove Lane's website can be found here. Twitter page is here. Many of the posts on the website feature a collection of images of the same piece of nature or animal so the posts are best read and the sequence of photographs seen in their original postings but here are just a few of the images that I have loved recently.